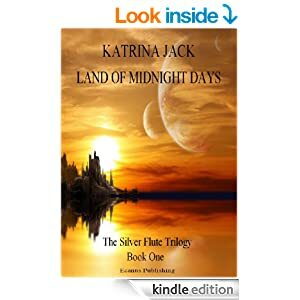 Land of Midnight Days is book one of The Silver Flute Trilogy; the genre is YA Urban fantasy. All three books follow the adventures of the main protagonist, mute musician Jeremiah Tully. His instrument is a silver flute, left to him by his absentee mother, Sylvan. In a city at war with itself, Jeremiah Tully already knows how to survive, now he must learn how to live. Mute from birth, of mixed race heritage and his only possession a charmed flute, Jeremiah tries to discover where his remarkable talent as a musician will take him. The book is available from amazon.com & amazon.co.uk, in both e book and hard back format.